AFRICA: Growing electricity demand, decreasing costs, and increasingly reliable project execution could lead to 30GW of wind power capacity being added in Africa between 2018 and 2027. Two-thirds of the continent’s capacity in 2027 will be concentrated in South Africa, Egypt and Morocco — down from more than 85% today, according to analysts at Make Consulting, meaning the region faces a great diversification of wind power. Notable markets will be Ethiopia, Kenya and Tunisia, where developers are expected to add nearly 5GW of capacity during this period, the analysts added. In smaller markets across Africa, there will be "sporadic, project-scale developments defying multi-faceted challenges", Make stated. The government in South Africa signed the last of 27 long-delayed power purchase agreements (PPAs) for 2.3GW of renewable energy projects in April 2018. Developers had won allocations — including 1.4GW of wind power capacity — in tenders carried out under South Africa’s renewables procurement plan (REIPP) in April 2015, but state utility Eskom had refused to sign the power deals. The government has also announced a new bidding round, to be held in the fourth quarter of 2018. 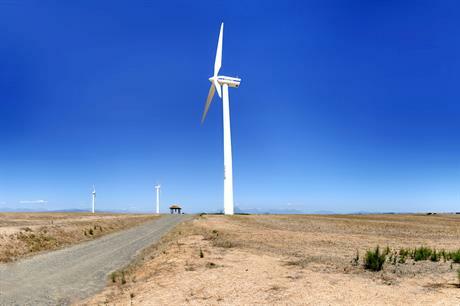 These developments had helped end uncertainty in the South African wind market, said Make. Meanwhile, in Egypt developers are proving capable of driving down costs, which will make wind the cheapest source of power generation in the country. In July, a consortium including French utility Engie agreed to develop a new 500MW project near Ras Ghareb, receiving a tariff of $31.70/MWh for its output. This price is 17% less than the $38.20/MWh the group is due to receive for a nearby 262.5MW site that is currently under construction. Make added that despite some delays in project execution, Morocco is due to achieve its 5GW wind capacity target by 2030. There is currently just over 1GW installed in Morocco, according to Windpower Intelligence, the research and data division of Windpower Monthly. Ethipioa, Kenya and Tunisia have been struggling to translate their ambitious wind power plans into actual market development due, in part, to imperfect regulatory frameworks, according to Make. However, the analysts predict these countries will transition to competitive tenders that will support growth beyond 2020, and that developers will add nearly 5GW between 2018 and 2027. The Danish Energy Agency (DEA) is drawing up a roadmap to help Ethipioa expand its wind portfolio from 324MW to 1,224MW by 2020. Auctions are expected to provide this additional capacity, and the DEA has suggested site-specific tenders could enhance public acceptance. The DEA also recommended setting up a central agency to handle the permitting process for auctions. Meanwhile, Kenya’s 310MW Lake Turkana project — the largest wind farm in Africa — remains unconnected more than a year after its last turbine was installed. Changes of government, the transmission line’s contractor going bankrupt, and financial uncertainty had repeatedly delayed the start of construction. It is due to be connected later this year. Tunisia is tendering 500MW of wind power projects that would be eligible for PPAs with the state utility STEG. Elsewhere, Make states that about 20 small markets will add more than 5GW over the ten-year outlook period. Ghana, Senegal and Tanzania will be the main markets in their respective sub-regions, the analysts added.